Wondering if the penalty is less for *NOT* offering Group Insurance come 2015? Since the start of 2014 we’ve been approached by CPAs, attorneys, and other trusted advisors to assist them with Affordable Care Act (ACA) audits, to determine if their clients will be subject to the “Pay or Play” provision come 2015, and then in 2016 if they have more than 50 Full-Time Equivalent (FTE) employees. 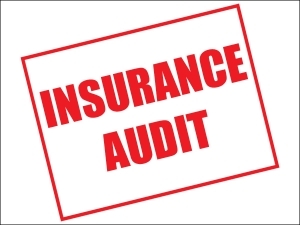 I wanted to take this opportunity to introduce our ACA auditing services to you. Currently I’m one of seven brokers in the New York Metro area with a Patient Protection & Affordable Care Act (PPACA) certification through the National Association of Health Underwriters (NAHU). The certification is key, as I’m trained on all the variables within the ACA law and how it impacts companies of various sizes; plus the continuing education keeps me fully informed as Washington adjusts different provisions of the law. For 2015, companies that have more than 100 FTE employees will be required to offer health coverage to all employees or they will be subject to a fine. That coverage must include the 10 Essential Benefits, or the company will be subject to a different fine. Combs & Company will perform the ACA audit and produce a report that highlights all provisions with which a company must comply (and the consequences if they don’t). We’ll also devise a look-back measurement the company should use to minimize any potential penalties. We’ll also review any Common Ownership issues, as these are often overlooked areas that can impact companies. This is not a pitch to replace a company’s current broker. We’re offering this service to support a company’s current setup and because we know the level of expertise we bring to the table is not yet common in the industry. (Nor do most brokers want to assume the liability.) We will work with your client’s current broker to gather as much information as possible and then incorporate them into the audit process. Our service is offered at a rate of $250/hour. The length of each audit depends on the complexity of your client’s business and health plans. We also have an in-house ERISA Attorney who can provide additional services for a flat fee, should any compliance issues come to light during the ACA audit. If you’re interested in finding out more or having your client schedule a planning meeting with us, feel free to reach out!